Areas of Expertise : Korean and East Asian political thought, Korean and Japanese history and culture, Buddhism and Confucianism. 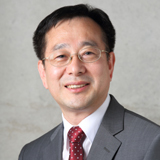 Dr. KIM Seog Gun is the principal fellow at the Asan Institute for Policy Studies. Dr. Kim specializes in Korean political thought and Asiatic research. Previously, he was a research professor both in the Department of Political Science and International Studies and the Institute for Korean Studies at Yonsei University (2000-2006), and the director of the Korean Political Thoughts Research Program in the Asiatic Research Institute at Korea University (1996 -2000). Dr. Kim received his B.A. in political science and international studies from Yonsei University, and his M.A. and Ph.D. from the Academy of Korean Studies.